After the success I’ve had with my Rohn 10 meter tower, I decided to go ahead and install another antenna up the hill, this time a yagi, or directional antenna. On my present 10 meter tower, I have a 2 m/70 cm omnidirectional antenna (shown here) which is fairly good at hitting most of the repeaters in this area. However, I cannot access the 146.895 Mhz repeater along I-77 on Big Walker Mountain west of here in Wythe County. I’d like to have the ability to contact this 2 meter system since it is linked with several other repeaters in southwest Virginia and northeast Tennessee. The new antenna will be at approximately 2,510 feet in elevation on a mast that extends 10 meters (~34 feet). I went with the Rohn 9H50 which is UPS-shippable. I plan to use at least 4 guy wires per anchor and spaced every 120 degrees around the mast. The mast will set down into the ground approximately 1.5 feet with another foot or so of concrete extending above ground. I was able to get the guy wire and mast holes dug today and poured some concrete for the mast and two of the three guy wire supports. 240 pounds of concrete form the base for the mast. The 2.5″ pipe shown in Figure 1 is temporary; I installed it and poured the concrete around it. While the concrete is curing, especially for the first 6-8 hours, I’ll rotate the pipe and moved it very slightly to keep it from bonding to the concrete. Once the concrete dries overnight, I’ll remove the pipe and this will create a shaft that’s just the right size for the 9H50. This will drop the mast down into the ground over a foot and a half, which will bring the top sections within easier reach to install the antenna and making it easier when it comes to raising the mast. Two guy anchors are 32 inches long buried in 28 inches of concrete, while the third anchor is 40 inches with over 36 inches in concrete (Tractor Supply only had two 32-in versions). Each of the anchor holes is tapered outward at the bottom, which should create a concrete block similar to the one show in Figure 2. This will hopefully aid in keeping the anchors in the ground. 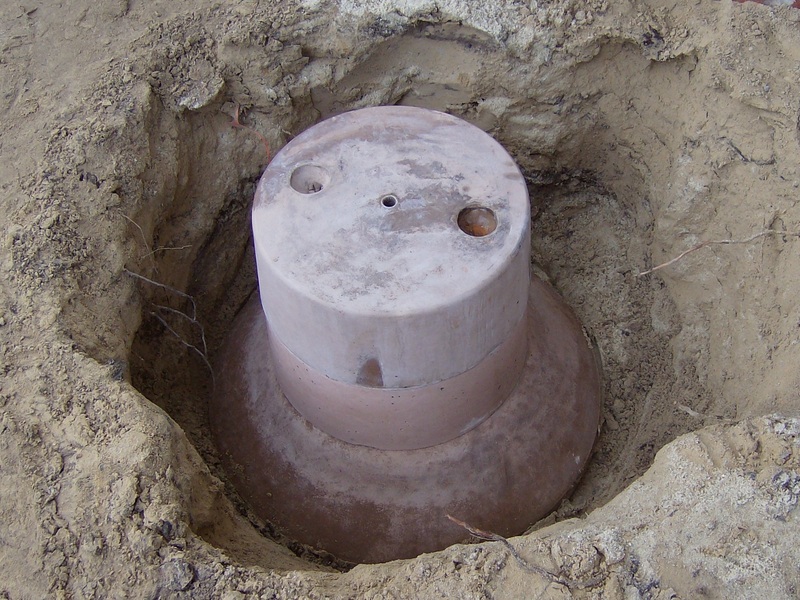 Figure 3 is a shot of one of the guy anchors before adding concrete to the hole. Once these harden, the concrete should be more than enough to support the mast; most likely the 1/8″ guy wires will snap before they have a chance to even nudge the concrete anchor blocks. That’s what’s happening here in Snowville today…I’m hoping to work on assembling the antenna (a Diamond A144S10 with 10.6 dBi gain on 2 meters) tomorrow, as well as paint the mast to match the Rohn 25G tower I already have. I also need to add two additional bags of concrete to one of the guy anchors since I ran short on 80 lb bags. Should be a week or so before I install the mast and get things setup as I’d like to give the concrete a good amount of time to cure, I just don’t want to have to wait 28 days for full strength!